Finally, the Sensex closed at 26,787 up 212 points, while NSE Nifty closed at 7,996 up 68 points. Though truncated, it has turned out to be a memorable week for the bulls as Nifty after four weeks of despair finally managed to register positive returns for the week. In the process it also attempted 8,000 levels during intra-day trade. However, despite a gain of ~70 pts on the index, there were no major fireworks on display as movement of the Nifty was restricted between 7,995 and 8,000 after a big gap-up opening. Investors will hope that the lows witnessed in the October may not be tested again soon. Recent slew of reform measures such as diesel price deregulation and hike in natural gas price hike by government has just begun. The winter session of parliament will be watched closely. Already the market is enthused with outcome of recently concluded assembly elections, which now gives the central government more power to clear the bills in the upper house of parliament. For the coming week, the earnings season will continue to remain in focus. HUL, Ranbaxy, Dr Reddy's Labs and ICICI Bank are some of the major companies announcing quarterly results next week. 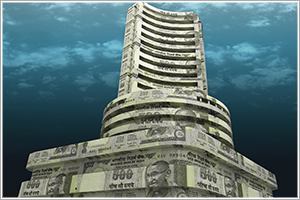 BSE Mid-cap closed up 1.21% at 9,576, while BSE Small-cap closed up 1.17% at 10,504. Jindal Steel, Kotak Mahindra Bank, Cipla, Cairn India, Hero MotoCorp, Bajaj Auto and Tata Motors were among the gainers on NSE, whereas ONGC, NMDC, DLF, NTPC, ICICI Bank, ITC, Coal India and Bharti Airtel were among the losers today. Automobiles & auto ancillary companies were in demand today. CNX Auto Index closed up 2.91% at 7,991 and hit a high of 7,998. Among the gainers included Amtek Auto, Hero MotoCorp, Bajaj Auto, Tata Motors, Maruti Suzuki, Amara Raja Batteries, Exide Industries and M&M. These stocks gained in the range of 2-6% on NSE. Commenting on the same, Amar Ambani, Head of Research, IIFL, said, "Auto stocks have seen strong bout of buying on the back of stronger than expected demand in the festive season. Media reports have suggested that Hero Motocorp saw a near 40% jump in demand on Dhanteras. While the recovery was expected, the pace was beyond expectations. The trend is likely to continue given the buoyancy in the economy. Our top picks in the Auto sector are Maruti and Hero Motocorp." The INDIA VIX was down 2.25% at 13.03. It hit a high of 13.33 and a low of 12.04. Meanwhile, the rupee is trading up 0.12% at Rs. 61.23 against the US dollar. This year, the normal Muhurat trading will take place on Thursday, 23 October. The session is scheduled to begin at 6:15PM with the Pre-open trade. The normal Muhurat trading would be between 6:30pm and 7:30pm. Natco Pharma said its marketing partner in the US, Breckenridge Pharmaceutical, Inc, received a tentative approval from the USFDA for Armadafinil 50 mg, 150 mg, and 250 mg tablets. Armadafinil is a generic tablet used for improving wakefulness in adults. Natco closed up 8.72% on NSE. HDFC, a provider of housing finance, reported a 7% increase in net profit at Rs 13.57 billion for the quarter ending September 2014. It was Rs 12.66 billion in the same period a year ago. HDFC closed up 0.98%. Biocon's net profit for second quarter-ended September 30, 2014 has remained flat at Rs 1.02 billion, which is nearly the same as during the corresponding period last year. The stock closed down 0.74% on NSE.